Benefits UK: Are We Getting Like The US? It looks like it will be a cold winter this year here in the UK. Yesterday I saw a homeless man on the street sleeping in a shop doorway, it was 09.30 and bitterly cold. I could not afford to give him money but did so as I was worried that he was not well and needed a reason to wake him. This country is an awful place with extreme social injustice condemned by the UN, a country where many people have no money to live on. Poverty is high and getting higher – childhood poverty has soared by 400,000 since the Conservatives came to power. While corporations get tax concessions and tax payers fund another extravagant royal wedding poor people get their benefits cut or taken away from them. How long I ask myself is this nightmare going to be allowed to continue. We cannot have people living in poverty in the 6th richest economy. Shameful. Anyone who votes Tory should be ashamed for you are responsible for the damage to thousands of people’s lives including children. How do you sleep at night, not like the homeless man mentioned above ? The indifference of many people to the plight of those needing benefits has also played a role in consigning many people to lives of misery and despair, not knowing where their next meal will come from or if they will have a roof over their heads. Poverty and homeless increase yet who cares, most people carry on with their own lives oblivious. How many of us were aware that back in July 100 tenants each day where being evicted as a result of cuts to benefits, this number will no doubt rise with the introduction of Universal Credit. It is important to note that UC is a benefit for working people paid low wages. Three thousand people responded to an a House of Commons inquiry into disability benefits when only about a hundred responses were expected. Responses are still coming in after the deadline has passed. “A House of Commons inquiry into disability benefits has heard from more than 3,000 people in despair at the system, including dozens who say they have been driven to suicidal thoughts by the process. 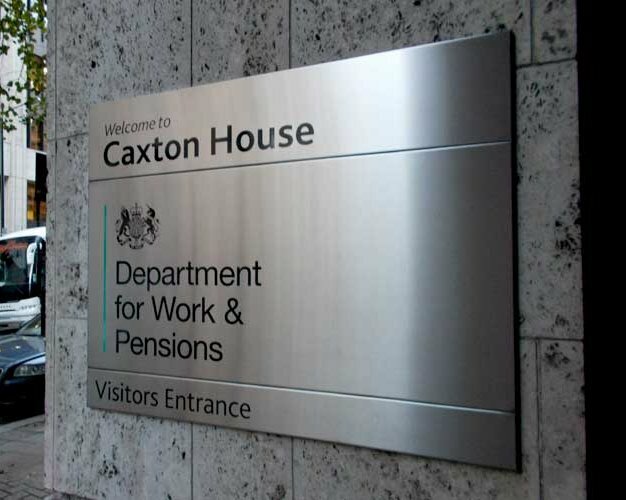 Frank Field, the chair of the work and pensions committee, said it would be usual to receive about 100 responses, but the inquiry had been deluged by people sharing stories about being denied disability benefits or battles to keep their entitlements. Life for many in the sixth richest economy is hell thanks to Tory polices and the indifference of other people. …the time it took to process her application and start paying her the right amount of money went way beyond six weeks, to almost three months. This is the tip of the iceberg. People’s lives have been made hell on earth since Tory changes to welfare, so many people do not know where to turn or have the wherewithal to write to committees, either worn down by the misery of draconian welfare assessments, by the severity of their illness often made worse by the nature of these assessments or they simply do not have the ability to write about their situation. The Tories are on a mission to dismantle the UK’s welfare state. I get sick of hearing that the Tories are out of touch with reality. The implication being that it is incompetence rather than a deliberate attempt to destroy our welfare state. The truth is the Tories are using cuts as a means of destroying the welfare state – including the NHS which they detest. The above article is eighteen months old but the points it makes are valid now as they were than. Don’t be fooled with the misleading implication of Tory ineptitude, even by those opposed: benefit cuts and cuts to NHS funding are deliberate a attempt to end our welfare state. Universal credit is not the only problematic benefit. The Tories new Personal Independence Payment PIP which replaced Disability Living Allowance DLA has left thousands of disabled people without this extra support or with a less amount of money. The government are slowing dismantling our social security until it resembles the US – virtually nonexistent. If you think this is far fetched, such abuse of sick and disabled people would not happen in the UK think again. Cece’s epilepsy last May left her bed bound for three months! “The assessor was shocked when she saw that I struggled to write my own name because I’d had a seizure three days prior to the assessment; she was shocked when I told her about my job; she was shocked to hear that on bad days I can’t even walk to my GP surgery which is only a 15 minute walk away, or stand in the shower which is why we have an unbecoming IKEA stool in our lovely bathroom, that when my partner is away I can’t cook for myself because I can’t be by the stove unsupervised; she was shocked to hear that if I have a seizure while out, I become confused and lose my way and struggle to read maps – even a tube map, yet I grew up in London. Every Londoner knows that a tube map is like their children’s Bible and by the time you hit adolescence, you don’t even need that bad boy because you have it memorised. Well, not when you have recurrent seizures. in a backlog of judges’ disability cases. What will happen to Joe Stewart? “Stewart had first applied for federal disability benefits on May 21, 2015. The application was denied, and so was his appeal. When he appealed the second rejection, he went to the back of one of the federal government’s biggest backlogs, where 1.1 million disability claimants wait for one of some 1,600 Social Security administrative law judges to decide whether they deserve a monthly payment and Medicare or Medicaid. “A death sentence” is how Stewart, who has no health insurance, has come to think of another denial. Remember anyone can be ill at any time, lose their job, become homeless. None of us are immune to the suffering that is taking palce here in the UK as a result of vicious tory policies which are taking us back to a time we had hoped had faded into history. Apparently universal credit claimants will now only have to wait five weeks instead of six! BIG BLOODY DEAL when you have no money. Housing benefit to continue for an extra two weeks after the start of a universal credit claim. Again hopelessly inadequate, not everyone has savings for a rainy day, thousands of people here in the UK live from week to week . By way of comparison, in 2015-16, government targets for the waiting times for income support, jobseeker’s allowance and employment and support allowance were between 10 and 14 days). An insult, a joke. .These changes as pathetic as they are will not come in time to help claimants struggling before Christmas, as they only take effect from next year. Keep in mind also that UC the new system’s shift from a mixture of benefits paid monthly, weekly and fortnightly, to a once-a-month payment will make people’s budgeting even more difficult. The fact that UC depends on an internet connection makes it very difficult for a lot of people to access, not least because of the government’s closure of hundreds of public libraries. The planet does not need more successful people. The planet desperately needs more peacemakers, healers & lovers of all kinds. The world right now seems so empty of compassion and genuine kindness, even in our daily lives people seem indifferent at best, aggressive and hostile at worst. Sometimes we need to remind ourselves there are good people in the world. Here are a few examples, some are just small acts of kindness in this impatient world of haste, selfishness and greed. A cashier patiently helps an elderly man count out his change. This next act of kindness will restore your faith in humanity. A homeless man uses all the money he has to help a woman stranded alone by the roadside without patrol. 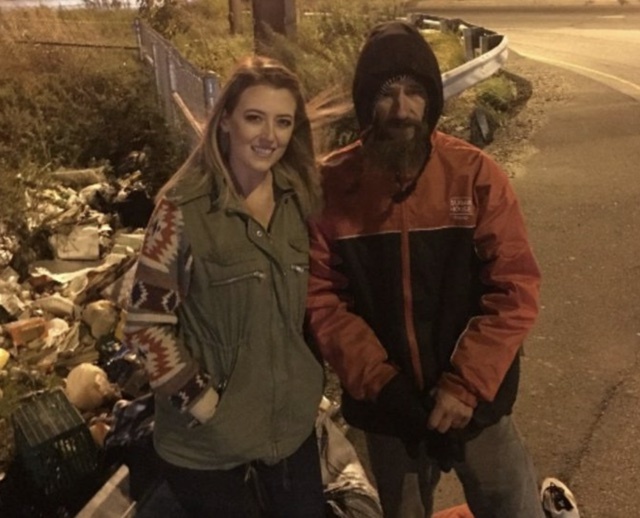 “Kate McClure, 27, started the Gofundme.com page when she became stranded on the Interstate 95 in Philadelphia and homeless man, Johnny Bobbit Jr walked a few blocks and bought her some with his last £15. Ms McClure did not have any cash to repay him that night, but returned to the road with cash, clothes and food to say thank you. This woman saves the life of a faun by giving her CPR – so good to know that there are people who care about animals and will go the extra mile to save a life. This adorable little bear won’t let go of the person who saved him from a fire. In this final good deed story a man risks his life to save a goat. You can always give something, Even if it is only kindness. Tras los Muros is a project for animal liberation. MATADERO is a documentary film from Tras Los Muros about an investigation into 58 Mexican slaughterhouses between the 2015 and 2017 years. The film shows the systematic cruelty the animals suffer in slaughterhouses, which is deliberately hidden by the meat packing industry. Warning: Some people may find the images included in the video and the articles very disturbing. “Casi nadie toleraría que los animales considerados de compañia, —perros, gatos, etc— fueran tratados como los animales considerados de granja, e intentaría evitar su abuso o matanza. Muchas personas sienten repulsión e indignación cuando conocen que en otros lugares del mundo se consume, por ejemplo, carne de perro. Pero al mismo tiempo no parece importarles que se consuma carne de vaca, cerdo, o pollo. Quizás pensemos que los animales nos importan, pero en realidad son solo algunos de ellos. Quizás no somos consientes de lo que sucede verdaderamente en granjas y mataderos. O quizás nunca hemos querido pensar con profundidad en ello. He estado más de seis meses infiltrándome en mataderos y, sin poder mostrar mi repulsión ni casi inmutarme, he tenido que ser testigo de todo el horror de aquellos sitios y de las atrocidades perpetradas contra los animales con el único fin de mostrarte lo que sucede allí realmente. You might also find the following interview with a slaughterhouse worker revealing though very shocking. Happy Thanksgiving, please celebrate this day with compassion. To provide you with a traditional Thanksgiving meal 45 million turkeys have to die. It is impossible to image the full extent of this horror as you sit down to eat a roast that doesn’t really resemble a living creature. An intelligent sentient feeling being who only a matter of weeks ago, or maybe even only a few days if your turkey is fresh not frozen, lived and breathed and was aware, aware of the pain and suffering he or she endured in a factory farm, the extent of which despite shocking videos many people still fail to fully comprehend. This Thanksgiving please choose life over death, kindness over cruelty and leave turkey off your plate. https://www.peta.org/living/food/vegan-roasts-to-make-your-holidays-even-happier/ – Tomorrow make your Thanksgiving meal and celebration a more positive happier cruelty-free event knowing that no sentient creature had to suffer and die for your celebration. I don’t think the majority of people would intentionally harm an animal, but if you eat meat including turkey you are contributing to the cruelty and death of billions of sentient beings who feel pain and suffer as you do. If you sit down to turkey at Thanksgiving you are complicit in the death of these sentient creatures, who are full of life, intelligent, curious, sensitive and brave: Benjamin Franklin referred to turkeys as “a bird of courage. He suggested that the turkey rather than the eagle be the national symbol of the US. Benjamin Franklin in a letter to his daughter. Tradition and habits are hard to break but once you have you then wonder why you waited so long before doing so, particularly if your actions were causing harm. I am not from the US and don’t celebrate thanksgiving of course but the same problem returns for us all in about one month’s time at Christmas, when yet again turkey is a meal that is eaten traditionally or habitually. I am ashamed to say now that it took a few Christmases to realize that it does not matter what you eat as long as it does no harm to any animal. I recall many years ago during the run up to Christmas while queuing in the butchers feeling very uncomfortable as I thought about ordering a Turkey. It occurred to me that by doing so I was condemning one particular turkey to death. This concept occurred to me more keenly than such would perhaps be experienced if I had gone to our local supermarket and bought one straight from the freezer section. But no my family always had a fresh turkey for Christmas. I salved my anxiety and indeed my conscience by telling myself that if I did not order a turkey than someone else would. But such thinking was not in the least convincing as of course no matter who else bought a turkey, my ordering a turkey would of course result in the death of a particular turkey somewhere along the line. Nonetheless I am ashamed to say, it took a few more years to finally make the decision to become vegetarian, this delay was mostly due to habit and what I now consider was very shallow thinking or rather not thinking. It seemed that Christmas would not be Christmas without a turkey. Thinking it seems is the key, or rather not thinking, which results in the perpetuation of an omnivorous diet, a diet consisting of meat and vegetables, a diet to which most people in the west are accustomed. I think few people intend to be cruel and they do so simply because of thoughtlessness. And again I am now ashamed to say it took a few more years after the initial thought to become vegetarian and eventually vegan, though the concern over meat eating had been present to some degree since childhood. From early childhood I had questioned to some extent the eating of animals for food. My mother told me that once as a young child I was given a book with a story about a turkey, a book I thoroughly enjoyed and one which was read to me over and over and that all through Christmas dinner that year I cried “poor turkey, poor turkey” and would not eat a thing. I guess even at a young age the incongruity of books telling stories about animals and sitting down to eat one was obvious and that adults seemed unaware of such inconsistencies was also plainly bizarre. The problem being that as children we knew that killing and eating an animal was wrong, we just knew didn’t we that animals had lives of their own, where sentient and that they felt pain and wished to live. We didn’t need scientific validation, this is something we all knew as did our parents when they were young, yet they enforced meat eating as did their parents. 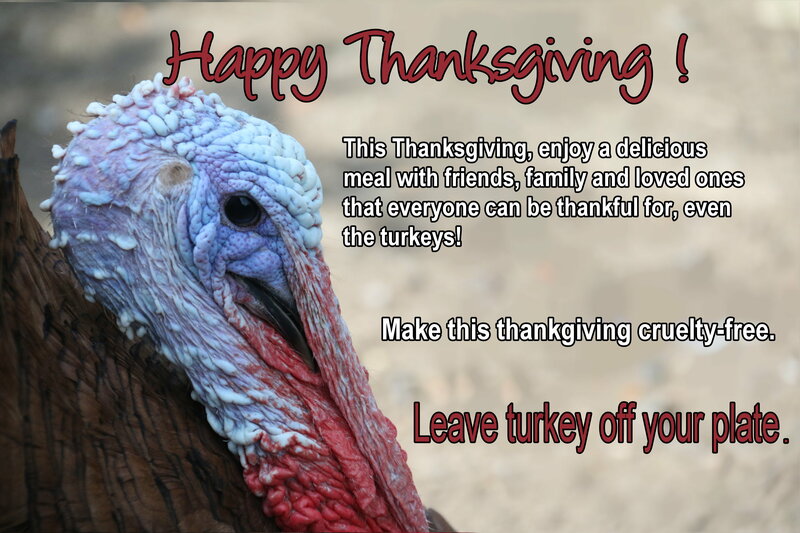 Please leave turkey off your plate tomorrow and every future Thanksgiving and Christmas. A bit short notice if you are not already aware of the following protest, but if you can please do join the demonstration outside Downing street and around the country taking place tomorrow Tuesday November 21st. If you can’t participate in the protest please send an email to your MP supporting the demonstration. There are other events nationwide. The Tories have been accused of “economic murder” and rightly so as their relentless austerity policies have resulted in the deaths of 120,000 people. The Tories’ destruction of our welfare system is unrelenting.With every passing day more and more shocking facts come to light as vulnerable and poor people are plunged ever deeper into poverty and despair. “The government has made a significant change to the controversial roll out of Universal Credit. It’s launched a consultation on proposed changes to a policy affecting over one million children. It says more children will be helped by the plans. Landlords have already sent out notifications anticipating that their tenets will not be able to pay rent as a result of delays to Universal Credit (UC). Action on poverty says that more than a million children will be in poverty due to cuts as a result of universal credit. Does this insensitive robotic woman have no feelings. The number of people being evicted has gone down so she says in the above video, by a whole third, so that makes it all right then despite the fact that two thirds, hundreds of people, continue to be evicted as a result of universal credit. You’re just a number to them, this woman and others of her ilk have no feelings, no compassion no concern for you as an individual. It has been announced that over Christmas people who are changing to universal credit will get no money until after the christmas period. How the hell are they supposed to survive for six weeks with no income. Hard at anytime but more devastating this time of year. A small admin oversight by the government will mean thousands of people will be left penniless this Christmas, without enough to pay their rent or buy food – let alone celebrate Christmas. Separately, the Peabody Trust housing association, one of the UK’s biggest social landlords, has calculated the delays will put about 23,000 families – with 41,000 children – at risk of destitution in the run-up to Christmas. The problems are likely to escalate with the extension of Universal Credit. Even by the end of January, only 10 per cent of benefits claimants will be receiving it. Poorest in society are paying a heavy price for Tory chaos. Those #UniversalCredit Advance Payments which government says ppl can live on whilst waiting min 6 weeks for 1st payment? In my local area they are paid at an average £22 per week. How the hell can anyone live on £22 a week. Moreover this money has to be paid back! Never forget if you vote Tory you are complicit ! Your actions in the ballot box have set the clock back to a time and circumstances that we had hoped had been consigned to history long ago. Your vote is destroying the lives of children and disabled and sick people. Think of that when you sit down to your Christmas dinner, in your warm home and watch your children pay with their new toys. Thanks to your vote Christmas for many people will be like something out of Dickens! To make matters worse the Tories could care less and even laugh about the suffering caused by UC. Tories *genuinely* laughing at @drewhendrySNP explaining to the Prime Minister that people are suffering due to Universal Credit. Comment on the Guardian article above which basically sums up the situation. “One way to judge a society is by our children .If that is the case this cruel tory goverment has proved to be an abject failure .There is a massive divide between the rich and the poor.This has to be a deliberate policy. This goverment has chosen to give more to the very rich at the cost of the poor .There policies are designed to be cruel to those struggling to get by .This Tory goverment are well aware of the plight of the poor .By there actions have proved they don’t care. If you can, please attend your nearest protest tomorrow. Also please write to your MP express in the strongest terms, though politely, your outrage concerning the continuous onslaught of misery and suffering caused by Universal Credit and other benefit cuts and changes on vulnerable members of our society including children, people with disabilities and the elderly. Christmas is coming and along with it it’s usual over indulgence and the massacre of sentient beings, mostly turkeys, to celebrate the birth of a person venerated worldwide as a man of peace. Yet the meal most people sit down to on Christmas day is anything but peaceful and amounts to a blood bath of millions of sentient beings. Here is the reality concerning the cruelty behind your Christmas dinner. In the USA more than 45 million turkeys are killed each year at Thanksgiving alone, and more than 22 million die at Christmas. Annually 300 million turkeys are raised and killed for their flesh in the United States with no federal legal protection which exposes them to wicked and unimaginable cruelty. Besides no creature wants to die and no creature needs die to provide you at any time with a food that is not natural. This will put you off your Christmas dinner, if it doesn’t what does that say about the type of person you are. Yes it is upsetting and if you are a sensitive caring person who doesn’t eat tortured dead animals then you probably do not need to watch. But if you are thinking of sitting down to turkey roast on Christmas day this undercover video is vital viewing. Ask yourself is your Christmas dinner worth all this suffering? If the answer is no click the Pledge Vegan button in the link above and change to a vegan diet. If you think that the above cruelty happens only in the USA think again – sadly more harrowing horrors and shocking cruelty to sentient beings occurs in the UK. 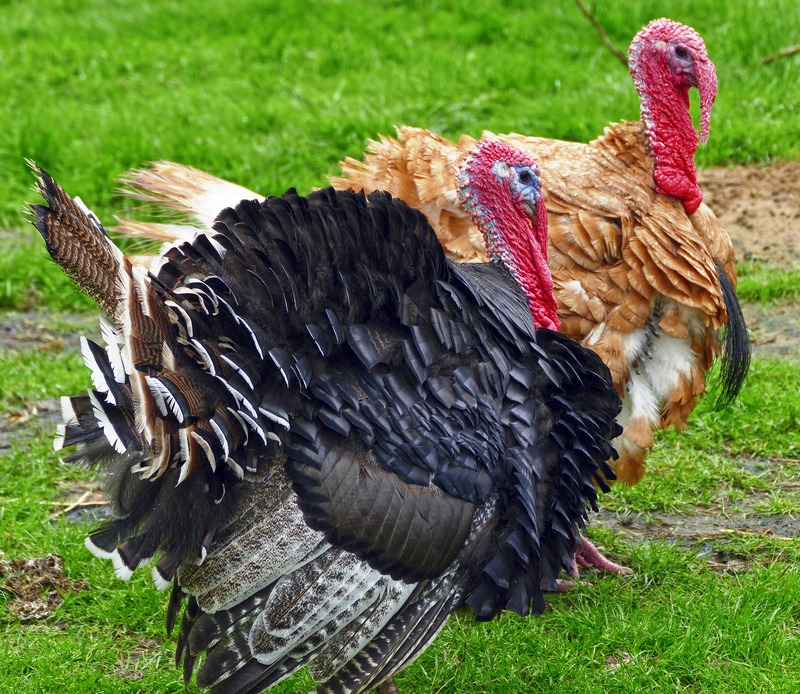 Here in the UK 10 million turkeys are massacred at Christmas – a total of 15 million all year round. DOOR-DROP FOR TURKEYS THIS CHRISTMAS! If you don’t think Turkeys are aware of what is happening to them, think again. Please read the short interview below. Turkeys have zest for living, they are also affectionate and sociable, please watch these videos. How could you kill and eat such a sweet gentle creature – if you eat turkeys you are of course responsible for their death, you are COMPLICIT in the cruelty depicted in the above videos. The above video contains a small number of disturbing scenes. Like your dog Turkeys are highly intelligent animals. Here’s some great news, Turkeys are in short supply for Christmas here in the UK!!!!!! Here are some ideas for a cruelty free Christmas and real peace on earth to all beings, not just human beings. Whether you’re religious, Christian or other religion, this is what religion should be about, namely bringing peace and harmony to earth for all creatures, not death, torture and misery. Entering a search in your favourite search engine such as Vegan Christmas Recipes will result in hundreds of delicious animal free, cruelty free, vegan recipes. Below are actions you can take to help Nazanin gain her freedom. 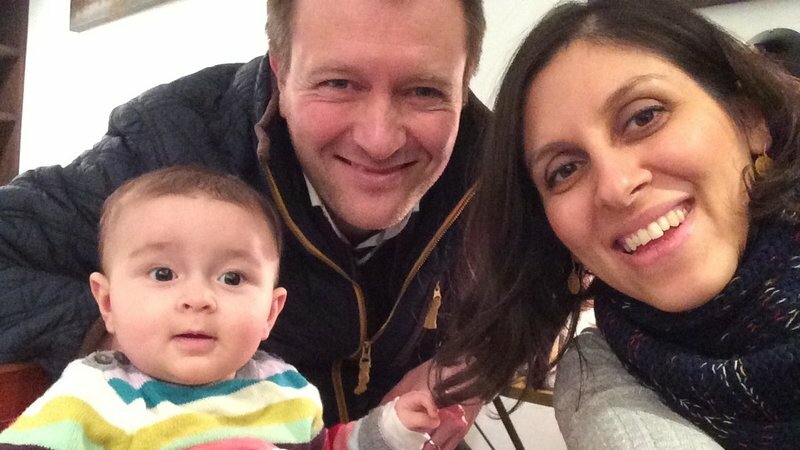 Please sign the following petition to help British Iranian charity worker Nazanin who was arrested on her way back from a family holiday to Iran. Nazanin has been in jail in Tehran for 19 months. “Nazanin Zaghari-Ratcliffe is a British-Iranian mother imprisoned in Iran. She’s serving a five-year prison sentence but she hasn’t committed any crime. Please sign the above petitions and share widely. “It was a black hole of human-made evil, which had sucked you in,” said Ms Nemat, who now lives in Canada. She added: “I just want her to know she’s not forgotten. She just needs to hang in there because it will come to an end — she will come home. She has to believe that. “The British woman who has been jailed in Iran has seen a medical specialist after finding lumps on her breasts and is “on the verge of a nervous breakdown”, her husband has said. It’s impossible to imagine the horror this poor woman is going through, a woman who has committed no crime. Please do not forget Nazanin and sign and share petitions.